Very real sports broadcaster Bob Costas says an eye infection has caused him to wear very cartoonish glasses. 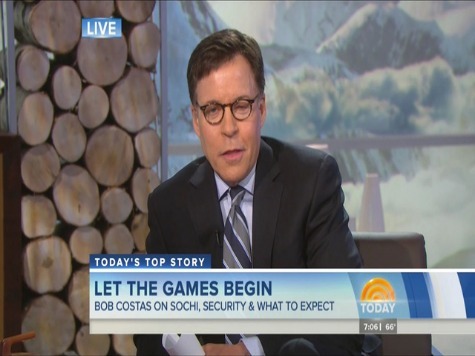 Costas began his anchorman duties for the opening of the Winter Olympics in Sochi, Russia, wearing spectacles with round lenses that could have been popular in an earlier era, USA Today reported Thursday. After previewing NBC’s network coverage of first-day events, Costas began a personal aside to explain his look. His reference to “Peabody and Sherman” alludes to an animated cartoon series of the late 1950s and early 1960. “Mr. Peabody” was a talking dog that invented a time machine with which he and his adopted human “son” Sherman traveled to the past and encountered famous people. Both of the characters wore glasses similar to those that adorned Costas’ face.